Despite being on my 26th consecutive nomadic day, things have settled back into some semblance of a routine here in our temporary Kiwi homestead, which meant I actually had time today to update comic book guides! I started with a complete refresh of my guide to the current Rebirth era of DC Comics! It has been over a year after the debut of this era and fan interest just keeps getting bigger in every single comics circle I run in. That’s for good reason: as all of the main, double-shipping titles of this relaunch press on into their 30th issues, pretty much all of the series that started out great have stayed great. You couldn’t say that for New 52, and Marvel Now barely let anything other than Avengers, Guardians, and X-Men run past issue #25. 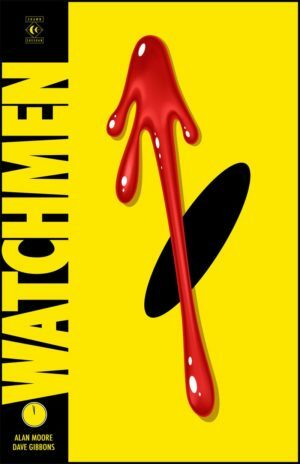 Plus, there’s a palpable sense of anticipation for what’s to come as DC releases the King/Gerads blockbuster Mister Miracle and hits their first line-wide event of the Rebirth era with Dark Nights … and, of course, fresh off of that they’ll launch the hotly-anticipated DC/Watchmen mashup throwdown Doomsday Clock. 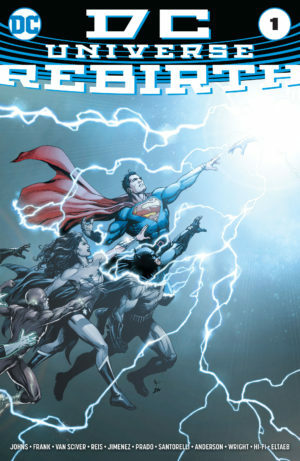 Whether you’ve been keeping up for the past 16 months or this is all new to you, check out the Rebirth guide to find every series and where it’s collected! DC Comics was full of bold movies in 2016. 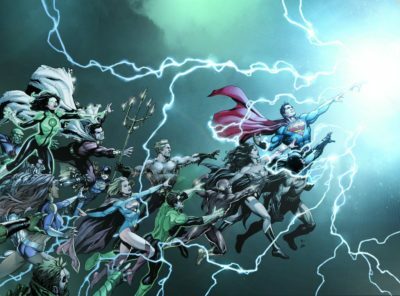 Not only did they relaunch their entire line with the DC Universe Rebirth one-shot, but they followed it up with 21 additional one-shots to launch the majority of the books in their line – and I’m here to rank them! The one-shots are a double-edged sword for new readers. They make for easy, low-risk, low-commitment samplers. That means it’s likely that – like me – most fans would read most or all of them out of curiosity. However, there’s a risk that they’re exactly that – samplers. It’s hard to craft a one-shot so good that it tells its own story plus pulls you in for a subsequent series. How many of the 21 Rebirth one-shots of 2016 hit the mark? Below, I’ve ranked every issue, rating it and giving the percentage chance that I might keep reading its respective series? Place your bets now – did I love my long-term favorite Wonder Woman? Did I find a way to get excited about the staid Superman or enjoy the typically impenetrable Green Lantern? And, what about relative B-listers in this muscular line-up like Batman Beyond, Deathstroke, and Blue Beetle? 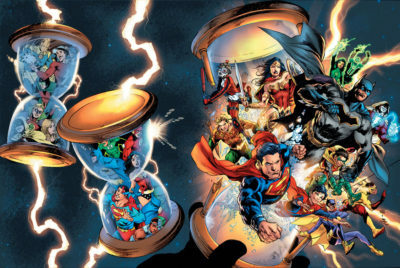 Find out now, and then head to my DC Rebirth Guide to snag the upcoming collections of the titles that pique your interest. I know, I know – it’s not a Rebirth one-shot. It should have been. It’s a phenomenal issue full of action, explanation, and heart that will definitely leave you surprised – plus, stunning pencils from writer/artist Phil Jimenez. Read it and keep reading with Superwoman Vol. 1: Who Killed Superwoman? 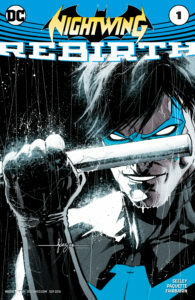 I hope all future Rebirth one-shot writers took notes, because Tim Seely delivered an absolutely perfect comic book in Nightwing: Rebirth. It was so good that it makes me not only want to read subsequent issues of Nightwing, but I feel compelled to go back to New 52 to read past issues because this comic made them sound so freaking awesome. Tons of exposition and backstory? Check. Emotional scenes with a protege that weren’t all they seemed to be on first read? Check. Bisexual flirting? Check. Uncharacteristically light, bouncy figurework from Yanick Paquette? Check. If you’re looking for lightweight, snappy DC reading in Rebirth that’s Batman adjacent, you’ve found your book. Have you ever attempted to make a new first impression on someone? Did it actually change their opinion about you? I think it’s a near-impossible feat. First impressions are the ones that last. After that, each successive impression provides an increasingly diminished return until you’re barely changing someone’s opinion about you at all with each meeting – just reinforcing it. How could you make a brand new first impression? It’s not enough to simply say, “Hey, look, I’m different now!” Even if your target believed you, they would still weigh your new behavior against the old you. No, to make a new first impression you need an explosive bombast of both context and contradiction – a shy friend who slays a karaoke, or a messy coworker with an impeccable neat home. You need to convince them that their first impression was demonstrably wrong – or, at least, so incomplete or controverted as to be useless. Every piece of fiction has the dilemma of making a first impression by introducing you to a universe you’ve never entered before. It’s hard enough to make a good impression introducing yourself let alone an entire universe! Even if they’re successful with that first impression, sequential storytelling mediums sometimes have to re-impress you, as with the season premiere of a TV show. And, of those that have, hardly any have ever put all the onus of an entire multi-title universe on a single episode the way DC Comics did on DC Universe Rebirth last July. Read my critical take on the issue below, and then head to the DC Rebirth Guide to follow your favorite characters from here. 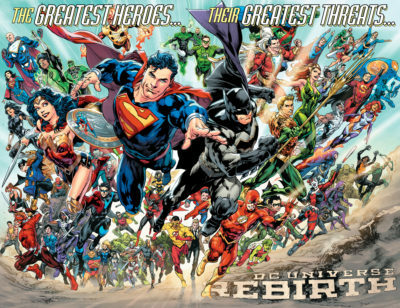 DC Universe Rebirth is exciting and inscrutable – a tantalizing glimpse of change for continuity nerds and a tangled skein of contradictory continuity for new readers. It’s a love note dense with heartfelt apology to longtime fans that weathered all of New 52 and a Rosetta Stone for DC’s new continuity. It is not necessarily the first comic you ought to read if you’re new to DC Comics or coming back from a lengthy lapse … unless you happen to be a major Flash fan. The issue uses the device of Wally West trying to return to the present day from within the Speed Force, where has has been trapped since the Flashpoint event that lead to New 52. He follows several hunches on who can pull him out of the aether of time and back into reality. It’s not just about survival. West has critical information that might help to amend a timeline that has grown dark and cynical (and lost a decade of memories along the way).